"Consider: who at this hour (apart from some professorial specialist currying his "field") is reading Mary McCarthy, James T. Farrell, John Berryman, Allan Bloom, Irving Howe, Alfred Kazin, Edmund Wilson, Anne Sexton, Alice Adams, Robert Lowell, Grace Paley, Owen Barfield, Stanley Elkin, Robert Penn Warren, Norman Mailer, Leslie Fiedler, R.P. Blackmur, Paul Goodman, Susan Sontag, Lillian Hellman, John Crowe Ransom, Stephen Spender, Daniel Fuchs, Hugh Kenner, Seymour Krim, J.F. Powers, Allen Ginsberg, Philip Rahv, Jack Richardson, John Auerbach, Harvey Swados--or Trilling himself?" I read through this list with dismay. I have read all but two of those writers, love some, and met five. Yet I know with a sinking feeling that Ozick asks the correct question. Who at this hour is reading them? Paul Goodman, whose books so deeply influenced and formed me? Edmund Wilson, a role model? James Farrell, whose naturalistic Studs Lonigan evoked a decade of Chicago life? Mailer, who boasted he had beaten all of his contemporaries? How many of them have you read? Some, I suspect, but they belong to your past. Most of you will have read Ginsberg's "Howl," but how much more of his poetry? 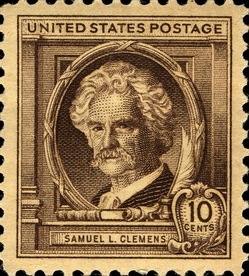 I have his collected poems on my shelf, but don't care to take them down. Whitman's poems, on the other hand, are at the side of my chair and I read one every morning. I have every one of Edmund Wilson's books, in the sublimely uniform Farrar Strauss & Giroux editions. Who cites him? Susan Sontag? Remembered for defining Camp. The occasion for Ozick's sad litany was her review of the letters of Saul Bellow, the one figure among all those contemporaries she believes is still read and will endure. For the same magazine many years ago, James Wood wrote an argument that the search for the Great American Novel can end, because Bellow's The Adventures of Augie March is that book. 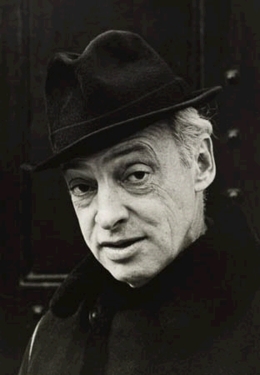 Yes, Saul Bellow is still read, and I am still reading him, and I confess I have no plans to return to any of the other authors on her list in whatever time I have remaining. I have, however, recently started reading The Ambassadors by Henry James for the third time. Soon I plan my third journey through Blood Meridian by Cormac McCarthy, another author I believe will endure. I have always read for pleasure. I once thought I might be a professor of English, and made it through one year of PhD study at the University of Chicago before recognizing that film criticism had captured me full time. I was not congenitally a good student, but I was influenced by my teachers as role models. In graduate school at Illinois I had one of the great Shakespeare scholars, G. Blakemore Evans, general editor of the Riverside Shakespeare. I'd read Julius Caesar and Macbeth in high school, and then not another word until I entered his classroom. It was clear Evans knew Shakespeare and loved him. Visiting his office, so filled with musty volumes, I was captured by the romance of his occupation, started reading Shakespeare with a passion and never stopped--always using my worn-out Riverside edition, although I have three or four others. I've written before about the mentor of my undergraduate years, Daniel Curley, he of the corduroy pants, Sears boots and rucksack. In English 101 he assigned us Dostoyevsky, Flaubert, Fitzgerald, Faulkner, James, Forster, Cather, Wharton, Joyce, Hemingway. I still read all of them. 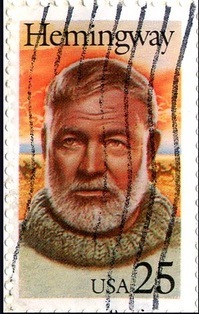 In 1960, he told us, 'What will last of Hemingway's work are the short stories and The Sun Also Rises.' Half a century later, I would say he was correct. My first exposure to Henry James was the short story "The Real Thing." I thought no one had ever written sentences so obdurate and baffling. They had the fluency of a crossword puzzle. By the time I arrived at The Ambassadors, I was beginning to catch on. His sentences are a labyrinth of diffident but precise observation. In their construction is the creation of character; in their reluctance to boldly state something, we feel the reality of what goes unsaid. Having read Great Expectations under some duress in high school, I went through seven years of college without ever encountering Dickens again. It was in about 1980 that I signed up for the Folio edition of Dickens, picked up Nicholas Nickleby, and was hooked. No one is more compulsively readable. But I had to come to that myself. Oddly, I started sooner on Trollope. "He is such a consolation," Curley told me one day in a London pub. "During the London Blitz, Trollope enjoyed an enormous popularity." Where should I start? I asked. "Oh, with the Barsetshire novels, I should say." All right, then. Bellow has lasted and may continue to last. Setting aside living writers, who is still read? I speak of considerable writers, not potboilers. Dickens, George Eliot, Austen and Trollope, and then some people get to Mrs. Gaskell. Dostoyevsky, Chekhov and Tolstoy. Kafka. Balzac, Flaubert, Stendhal and Hugo. Poe. Mark Twain. James and Wharton. 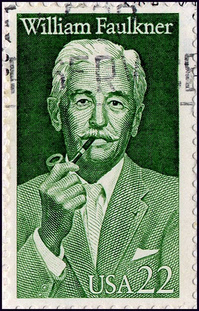 The big four Americans of the first half-century, Cather, Hemingway, Faulkner and Fitzgerald. The smaller Americans, Chandler, Steinbeck, Hammett. John O'Hara? Not so much. Sinclair Lewis? Not at all. Nabokov. From Britain, Conrad, Evelyn Waugh, Greene, Forster. Anthony Powell, Iris Murdoch, Virginia Woolf, Orwell, Wodehouse. From France, Georges Simenon endures and Camus hangs on. From South America, Borges and Marquez. I do not mean to make a list. Many names and entire nations are missing. You will find those writers you enjoy, and value them. I have been in a little discussion recently about how readable Beckett's plays are. 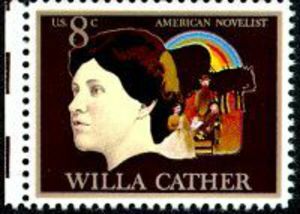 Every month or so someone pops up who has discovered Willa Cather and fallen under her vision. There are certain books that are milestones in my reading. I've been going through the 12 volumes of Powell's A Dance to the Music of Time again. Later this year I will again pick up Paul Scott's The Raj Trilogy. On my shelf The Cairo Trilogy by Mahfouz is waiting. There is no pattern. My only goal is to enjoy reading. I learn that he average American teenager spends 17 minutes a weekend in voluntary reading. Surely that statistic is wrong. Do they mean reading of "serious" novels? I would certainly count science fiction, graphic novels, vampires, Harry Potter, newspapers, magazines, blogs--anything. Just to read for yourself for pleasure is the point. Dickens will come later, Henry James perhaps never. At the end of the day, some authors will endure and most, including some very good ones, will not. Why do I think reading is important? It is such an effective medium between mind and mind. We think largely in words. A medium made only of words doesn't impose the barrier of any other medium. It is naked and unprotected communication. That's how you get pregnant. May you always be so. Two related bog entries: Perform a concert in words and Books do furnish a life.